Laneways was hot and crowded, a bad place to find a beer in a hurry. Girls, Yuck and the Horrors were worth the wait. A friend said that that the line-up was a bit indie wimpy and I agree. More thrash next time please. How about Royal Headache and Total Control from Australia, the Screaming Females, Milk Music and The Men from the USA, the UK’s Black Tambourines and Christchurch’s gift from the rock gods, the T54’s? 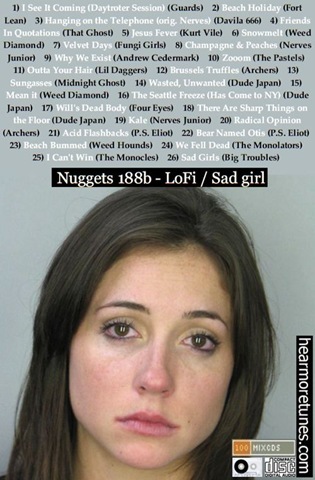 If you need some alt wimpy, give us TV Girl. PS, run do not walk to your PC and download this Black Tambourines EP. It’s free. I almost took out some other tracks to make way for more of their excellent thrash. It’s that good. The picture is of course from UFO. I can’t work out which SHADOW operative this was, but she’s not the one that later married Michael Caine. Crackin’ stuff. Music up soon.